The Victoria Shamrocks are pleased to announce to our fans that goaltender Aaron Bold is returning in 2017. The last time he was on the floor at the Q-Centre in Colwood, Bold was hoisting the Mann Cup trophy over his head. 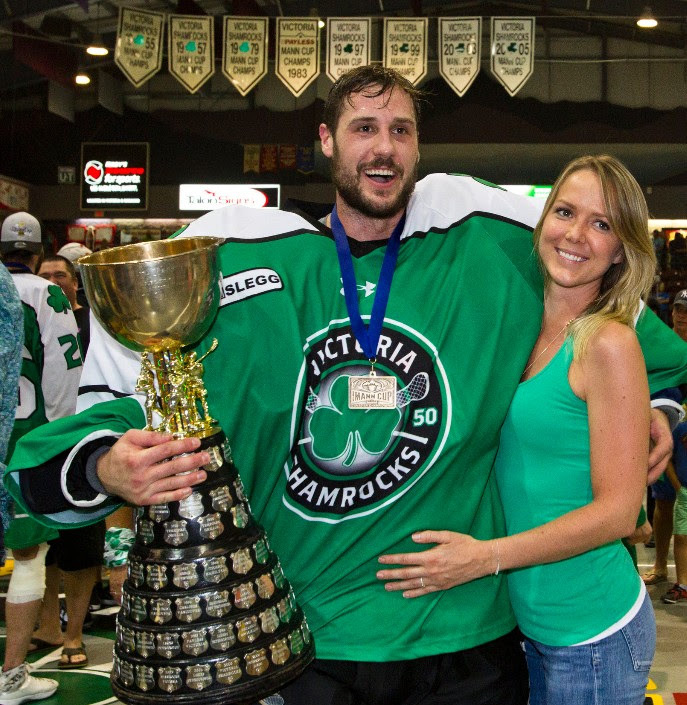 The 31 year-old Victoria native enjoyed a truly remarkable year in 2015 as he captured a rare lacrosse version of the triple crown, earning a National Lacrosse League championship and a gold medal with Team Canada at the World Indoor Lacrosse Championship to go along with the Mann Cup championship with the Shamrocks. He won a second NLL championship in 2016 and was named the Champions Cup MVP. Widely recognized as being among the very best goaltenders in lacrosse today, Bold, returns to backstop the Shamrocks in their bid to get back on top this year, having played a critical role in 2015 when he captured the WLA Playoff MVP award. As was the case in 2015, Bold will play on a part-time basis during the regular season due to business considerations in Edmonton where he currently resides, but he will be available full-time for the post-season. The Shamrocks will use a three-goalie system this year that will see Bold partnering with returning veterans Cody Hagedorn and Adam Shute.